Born at Ratho, Midlothian, the son of a builder and brother of sculptor William Grant Stevenson (1849-1919), with whom he collaborated as DW & G Stevenson. He studied modelling at the Trustee's Schools, Edinburgh, and in William Brodie 's Edinburgh studio, where he served an eight year apprenticeship from 1860-68. After winning a South Kensington National Prize for a statuette of the Venus de Milo, he completed his studies in Rome and returned to assist Sir John Steell on the Prince Albert Monument, Edinburgh, for which he executed the groups representing Science and Learning (1865-76). A successful portraitist in marble and bronze, he also produced classical groups and genre pieces but is best known for his bronze statue of William Wallace on the National Wallace Monument, Stirling (1859-69). His other public work includes the figures of Mary, Queen of Scots, Halbert Glendinning and James VI on the Sir Walter Scott Monument, Edinburgh (1874); the H F Bocklow Monument, Middlesburgh (1881); Robert Tannahill, Paisley (1884) and Highland Mary, Dunoon (1896). His largest work was the splendid cast iron (Saracen) Fountain, which was the foundry's exhibit in the Kelvingrove International Exhibition of 1901, and eventually relocated to Alexandra Park in 1914. The fountain includes copies of three of the four seated figures on Stevenson's earlier Monument to John Platt, in Oldham, which dates from 1878, and which was the town's first important bronze statue. The figures on the fountain symbolise the same subjects as their Oldham models, except for Engineering in the Platt group, which is replaced by a figure representing Commerce on the fountain. In the production of the Platt statue, Stevenson collaborated with two of Scotland's other important sculptors: Sir John Steell, whose Grove foundry cast the bronze figures; and MacDonald, Field & Co, who quarried, sculpted and polished the group's granite pedestal at their yard in Aberdeen's Constitution Street. Further copies of Stevenson's figures were made for the identical fountains in Town Hall Park, Warrington (destroyed, 1942), and later its small-scale copy in silver in the collection of Warrington Town Council; and the full-size version in the Sammy Marks Zoological Gardens, Pretoria, South Africa (1914). Stevenson exhibited numerous portrait busts at the RA , RSA and RGIFA , from 1859. 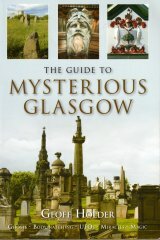 He is buried in Edinburgh's Grange Cemetery, where he shares a grave and monument with his brother. Their monument features a bronze portrait medallion of his brother, signed by Henry Snell Gamley, 1919.